The Suzuki Hayabusa holds the distinction of being the last Japanese motorcycle to claim to be the fastest bike in the world. When it came out in 1999, it marked the end of a long-fought horsepower war between the big four Japanese bike brands (Honda, Kawasaki, and Yamaha being the other three). Threats of regulatory backlash led to a gentlemen's agreement between the brands to govern the top speeds of their motorcycles which has been found to be right around 300 kilometers per hour or approximately 186 miles per hour. Because of that milestone, the Hayabusa is still revered as one of the fastest bikes around, which it still is. It’s been in its second generation since 2008 and it’s getting a little long in the tooth. 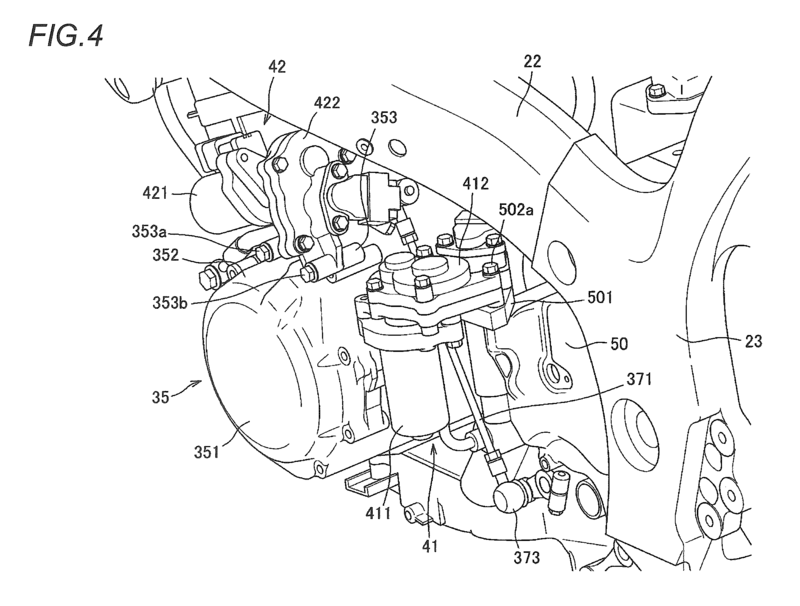 Some newly filed patents by Suzuki which can be found on Justia Patents seem to suggest that some very modern technology is coming to the aging bike. 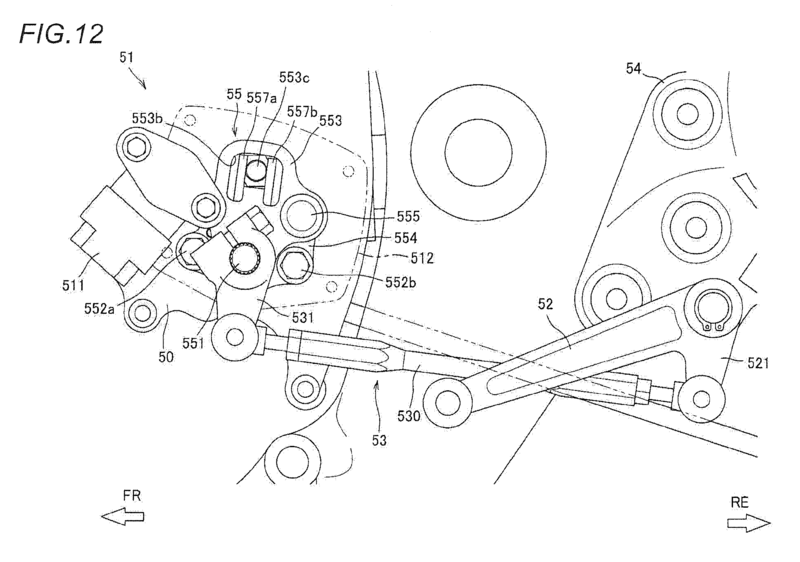 The patents picture a semi-automatic transmission equipped to a Hayabusa. A semi-automatic transmission in a motorcycle doesn’t work too differently from a traditional manual. The difference is it uses a clutch actuator and a shift actuator to electronically shift the bike rather than the mechanical way of clicking through the gears. With this new design, the rider shifts with the normal foot controls and the position of the shifter are read by a sensor which relays the information to the ECU telling the bike to shift. To make sure this system doesn’t mess with the rider’s brain too much, Suzuki has built in a simulated clicking mechanism to make it feel like the mechanical shifting that most riders are used to. 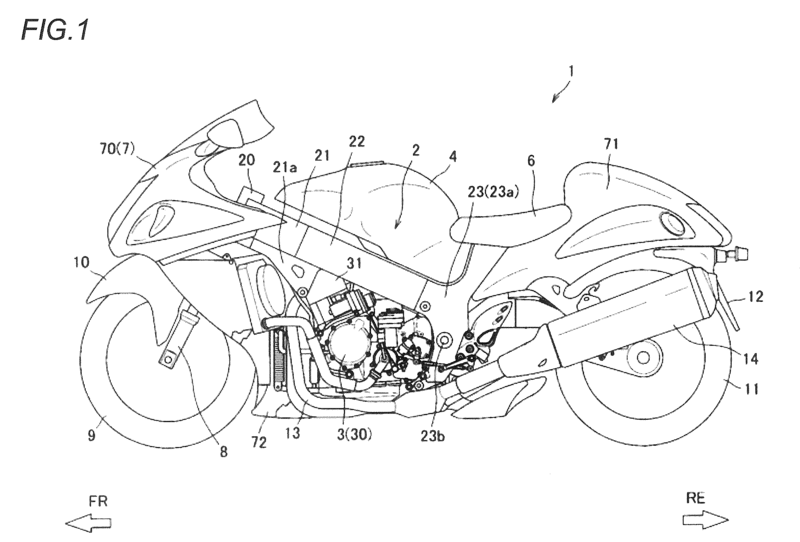 Applying this tech to the Hayabusa would be a good way to keep it modern while more futuristic bikes like the supercharged Kawasaki H2 might be taking some of its superbike market share. It’s also a good way to keep sportbike riders who probably want to keep shifting their own gears happy by keeping the controls manual. Hopefully, this is a sign that a third-gen ‘Busa is on the way.